9 month 28 date in (month) Nagato town center assembly hall, NAGAWA local creation Promotion Council of the 3 round was held. 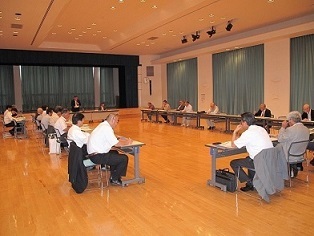 Progress report and of the 7 times Council later made to 2 month at the meeting, reported, the sum-cho version length "comprehensive on how to organize and sort of idea about the local creation, which were received from various quarters to this outline draft of the strategy ", is carried out a description of the future of the schedule, a lively exchange of views took place. In the town, about NAGAWA version of the "population vision," "comprehensive strategy", we are working to target the development of up to 12 end of the month. Content for the "NAGAWA town, people, job creation comprehensive strategy outline (draft)" etc.